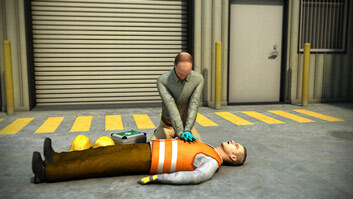 Broken and dislocated bones are a common injury in all walks of life, including at the workplace. 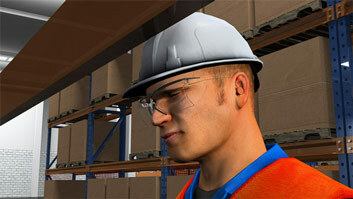 By following safe work practices, properly guarding hazards, and wearing appropriate PPE, these injuries can be avoided. However, in some cases, broken bones will still occur. In this course you'll learn some different types of broken bones and dislocations and how to provide first aid for them. 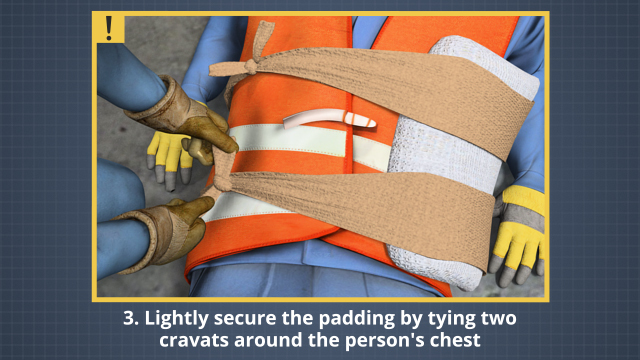 You'll also get some guidelines for when it's necessary to summon emergency medical assistance to transport the person for additional medical care after first aid is provided. A broken bone, also called a fracture, is a general term used to describe a bone that's been exposed to some type of force that has changed its natural shape. A fracture is another term for a broken bone. A dislocation is a bone that has come out of the joint it's normally within. 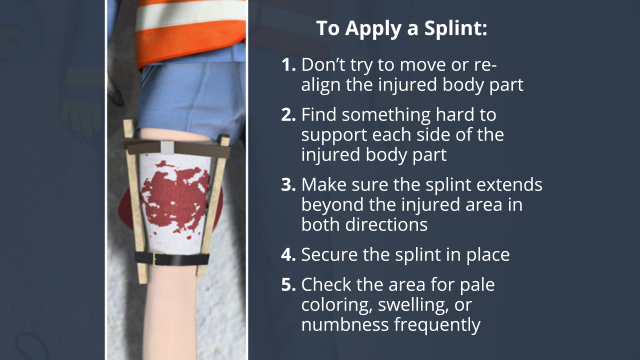 A splint is something that can be tied along a wounded area with a broken bone, such as a leg, to immobilize the area. Is medical care beyond first aid necessary for all broken bones? 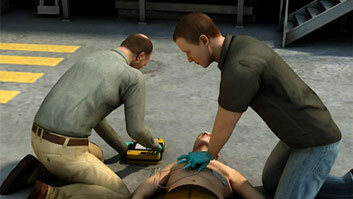 If a person has a broken bone, they should receive first aid and additional medical care. However, it's not always necessary to summon medical care to transport the person; in many cases, emergency medical transport is not necessary. A broken bone is the common term for what doctors call a fractured bone, or simply a fracture. A broken bone is a bone that no longer has the same shape it normally does. 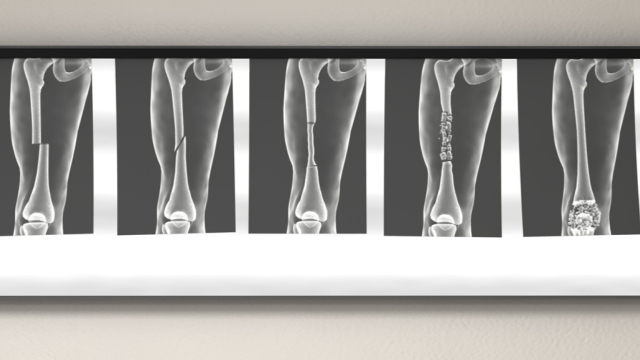 Bones can be broken in a number of ways. 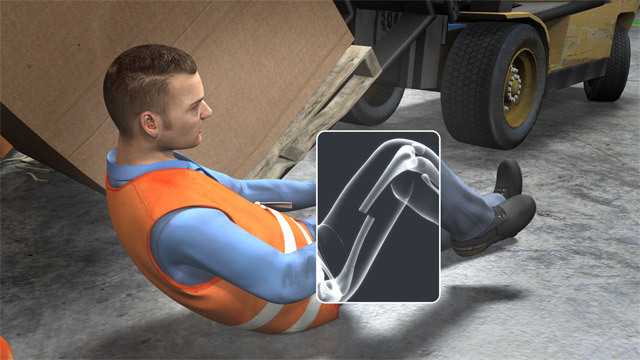 This can include a straight break directly across the bone, a diagonal break through the bone, a crushing injury to the bone, when the bone is broken into several pieces or fragments, and when bones are driven together crushing parts of one another. In addition, broken bones can be closed or open. A closed break means the skin is not broken. An open break means the skin is broken and the bone may be sticking out of the skin. Open breaks are also called compound breaks, and there's an additional risk of infection with this kind of break.